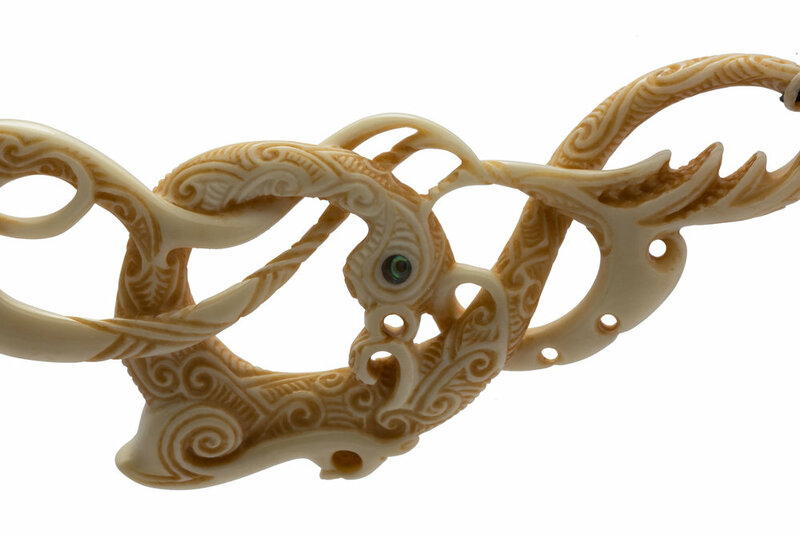 This Manaia is akin to the mythical Phoenix which represents many themes. Commonly though, it is representative of the sun and is a mythical bird that arises from the ashes of its own death. In Chinese mythology, the phoenix is the symbol of high virtue and grace, of power and prosperity. These themes have been carried into this Manaia. The Manaia, or spiritual guardian, is the profile of a Tiki. This is symbolic of being half in this world and half in the spirit world. Manaia's can be adapted with other symbols and stylized to communicate different aspects or meaning. This Manaia is called ‘Ara (Arise)'. Ara is Maori for 'arise, to rise up, awake'. The tips of the wings terminate in five points. These represent the refinement of our 'spiritual' senses as we awaken from our spiritual slumber and rise above the challenges of this life. The phoenix is immortal. After its death, the phoenix is depicted as arising from the midst of the flames. Every moment we are reborn anew. Although there is a continuum, the person we were yesterday is not the person we are today. Hence it is also a symbol of strength, determination, and the power to overcome. The koru covering the main body of the Manaia depict this. 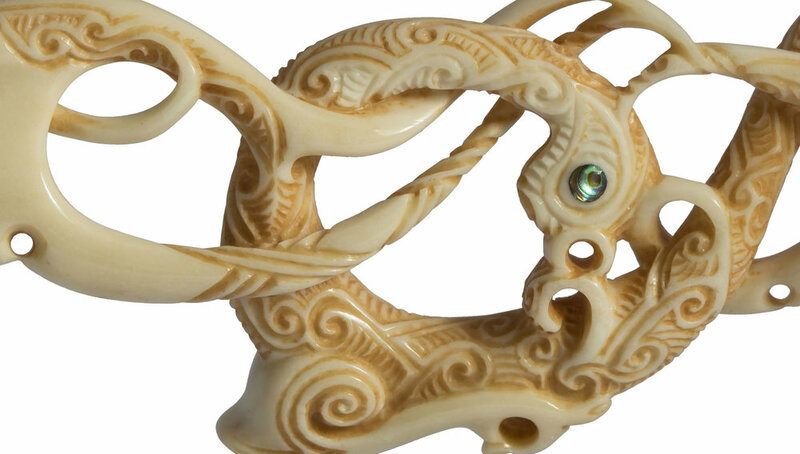 The koru pattern on the inside of the wings of the carving represents the inner wealth of wisdom we each possess. They also are symbolic of a journey of discovery. Although the phoenix is traditionally a very large creature, It lives on dew, killing nothing and crushing nothing that it touches. This represents our gentle nature and the fundamental goodness deep within our mind. The path of purity and virtue that leads to all happiness. The eye is an inlay of Paua shell. The front eye has a natural 'pupil' in the inlay. The pupil is looking upwards, is symbolic of connecting to higher wisdom.